This is a rectangular Hoosier Cement porcelain sign. This particular Hoosier Cement sign is predominantly blue with white print. 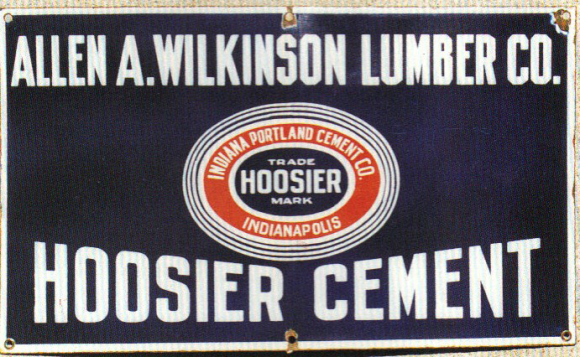 It reads, “Allen A. Wilkinson Lumber Co. Hoosier Cement, Indiana Portland Cement Co., Hoosier Trade Mark, Indianapolis” and features a red oval border in the center.